Second albums are always tricky. Do you go for a repeat of the first album, risking critical disapproval, or do you go down an entirely different path, with the risk of losing the fans base you’ve built up? Some bands are talented enough to find a happy middle ground between these two scenarios, but the question is: are CHVRCHES one of these bands? Well, from the opening synths of ‘Never Ending Circles’, it’s clear that a) Lauren’s singing voice has improved ten-fold (not that it wasn’t great to begin with) and b) while they’ve not changed their direction, they’ve managed to make the tunes even bigger. ‘Leave A Trace’ is a classic in the making, and ‘Down Side of Me’ is a melancholic song on an album that could be the happiest thing I’ve heard all year. However, the difference between Every Open Eye and its predecessor is the inclusion of more upbeat, bouncier tracks. And there is an abundance of them. ‘Clearest Blue’ is arguably the finest pop song in a generation – seriously, try to listen to it without wanting to dance around like a lunatic – and if they don’t play ‘Make Them Gold’ live I will riot. ‘Bury It’ is a fist-pumping, grade A banger, and ‘Playing Dead’ has a chorus so infectious it’ll bury its way into your brain after one listen and refuse to leave. Closer ‘Afterglow’ is incredible, featuring an unbelievable vocal performance from Lauren and synths that build and build over the course of the track’s 3 minutes, before immediately dropping back down to almost nothing. Apparently there was debate as to whether this belonged on the album. Madness. While Every Open Eye is a fantastic album in many respects, it’s not flawless. One track, ‘High Enough To Carry You Over’, sung by Martin Doherty, lacks the infectious choruses and soaring synth lines that are present on the album’s other tracks. But one disappointing track out of eleven (fourteen if you splurge for the deluxe edition) is not a bad track record. So, in short, CHVRCHES have nailed it. 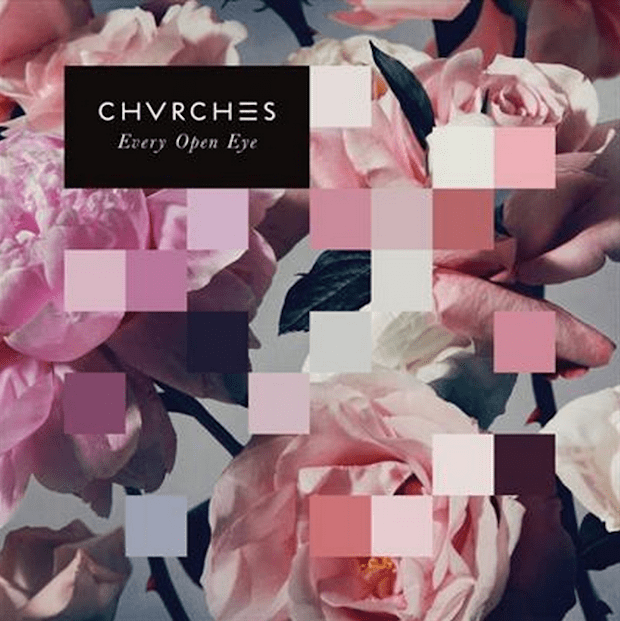 This album takes what they did on ‘The Bones Of What You Believe’ and elevates it to another level entirely and, if they keep up this form, CHVRCHES could become of the most formidable song writing forces in pop music. And, if I’m being honest, a world where CHVRCHES are the biggest pop band in the world is a world I’d quite happily live in. Posted in Music and tagged album, chvrches, Music, review. Bookmark the permalink.